Would you like our magazine to promote you? 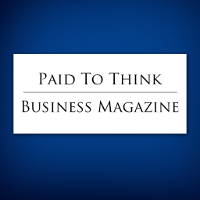 This magazine would like to play it’s part in helping your business establish it’s presence and brand. In order to do this we will provide you with a place for your image, your advertorial article, bio and a link to your website, as well as let you know about opportunities to promote you in the magazine. Your offer will appear in the services section of the magazine. This section is available to anyone who has a product or service to sell and allows you to tell readers the benefits of choosing to do business with you and gives you the opportunity to create your business brand. Will You Be Our Next Cover Story? It’s all possible. If you would like to get promotion for your business, we make it easy. We would love to share your story with our readers. Once you are signed up as an advertiser we can discuss your cover story and any requirements. This is a special bonus for advertisers. We want you to succeed. Get started now – become a founding member! Learn more here!